With Independence Day just around the corner and summer in full swing, many Americans will be attending parties. Summer is also a popular time for weddings and back-yard cookouts and many of these events may involve alcohol. It can be an especially rough time of year for those struggling with an alcohol addiction if they are invited to events that have alcohol. Consuming alcohol can impact our bodies in many different ways. 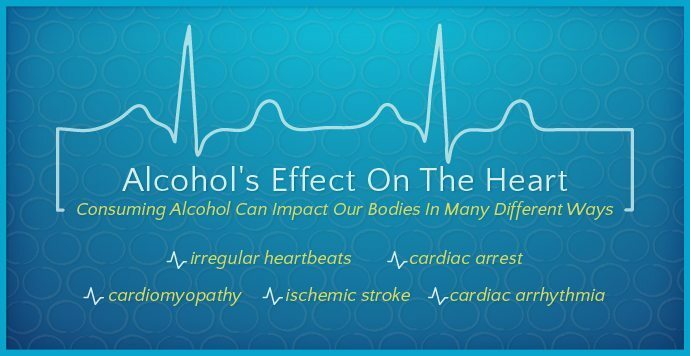 But, have you ever wondered about the side-effects that alcohol has on the heart? After all, the heart is one of our most important organs and we must take care of it and know what behaviors can alter or destroy its healthy functioning. The American Heart Association says that by consuming alcohol, there are cardiovascular risks that must be taken into consideration. If you consume too much alcohol, this can lead to higher deposits of fats stored in our blood (triglycerides). Consuming alcohol can also put you at a higher risk for high blood pressure and heart failure. Many alcoholic beverages contain high amounts of calories and could lead to obesity which puts another strain on the heart. By increasing your caloric intake with alcohol, you are more likely to become overweight which could lead to a stroke. Other ways that alcohol can affect your heart are: cardiomyopathy (heart muscle disease), cardiac arrhythmia (irregular heartbeat) or a sudden and unexpected loss of heart function (better known as cardiac death or cardiac arrest). All of these forms of heart disease (and these is not an extensive list) are very serious health concerns if you or someone you know is struggling from alcohol addiction. Heart disease is so common among Americans that 1 in 12 people will have it in their lifetime. The heart is an amazing part of our body. In one day, our hearts will pump 100,000 times and will circulate approximately 2,000 gallons of blood through our bodies! We should do what we can to protect such a vital organ. Scientists warn that if we consume small amounts of alcohol over a long period of time or even large amounts of alcohol during a short time (also known as binge drinking), these behaviors can have profound impacts on how our heart functions. If you drink too much alcohol, you could develop what is called alcoholic cardiomyopathy. In this condition, the heart is “too tired” to pump blood and it fails to pump the appropriate amount of blood to vital organs. Symptoms include short breath, tiredness, swollen extremities (legs and feet) and even irregular heartbeats. This is not a situation to take lightly because alcoholic cardiomyopathy can also eventually lead to cardiac arrest. Another serious condition linked to consuming too much alcohol is stroke. For binge drinkers, it is estimated that they are 55% more likely to die from a stroke than non-binge drinkers throughout the course of 10 years. If you binge drink, you could suffer an ischemic stroke. An ischemic stroke is where a blood clot blocks blood flow to the brain. To be fair, there are two sides to the story. Some alcohol can benefit your health (if done in healthy moderation) which can reduce your likelihood of having coronary heart disease. Scientists define moderation as no more than two drinks of alcohol per day for males and one alcoholic drink per day for females. However, for those struggling with alcohol addiction, the benefits of consuming alcohol on a moderate level, daily just for the sole purpose of heart health may not be the best option in the long term if the individual recognizes that they cannot drink in moderation. Scientists also say that many other factors can lead to a healthy heart such as diet and exercise. Also, grape juice is said to have similar effects as red wine and scientists are trying to discover if antioxidants in red wine (and grape juice) play a key role in heart health. If you are going to consume alcohol for heart health, do so in moderation. However, abuse of alcohol can lead to serious heart problems and even potentially death. 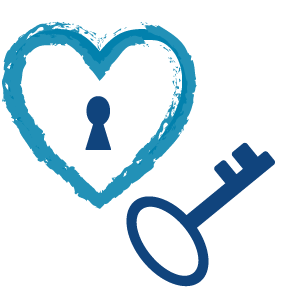 If you require more assistance or information regarding your heart or any others regarding alcohol addiction, please contact us at Alcoholtreatment.net to learn more.